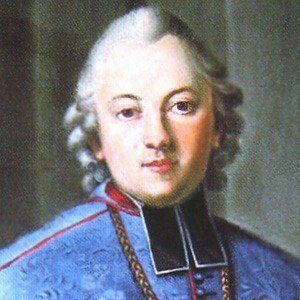 Polish Enlightenment poet, author, translator, and cleric known for a 1779 work entitled Fables and Parables. He is also known for compiling a Polish encyclopedia and for writing the first Polish novel. He graduated from Warsaw Catholic Seminary and subsequently entered the priesthood. His novel, The Adventures of Nicholas Experience, contains elements of social satire, adventure, and Utopian vision. He was born into a noble Polish-Lithuanian family in Dubiecko. He was a literary predecessor of fellow Polish poet Cyprian Norwid.